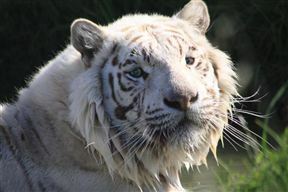 Jukani is the home of rescued predators and other wildlife where the focus is on conservation and education, specifically on the plight of predators both in captivity and in the wild all over the world. At Jukani you can see most of the larger cats such as lion, Bengal and Siberian tiger, jaguar, leopard, cheetah, puma, caracal and serval together with rarer species such as white lions and tigers and black leopard. A visit to Jukani is not just about viewing big cats, it is an informative experience at a sanctuary where the animal’s physical and emotional needs are placed first and foremost. Unlike some other facilities, the cats here do not breed and cubs are not removed from their mothers to be ‘cuddled’ by visitors. These cubs often end their days as trophy hunter’s prey. The South African Animal Sanctuary Alliance, a non-profit organization (PBO No. 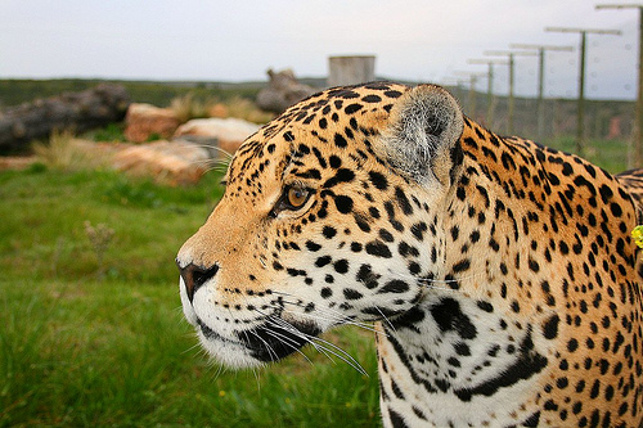 200/060 667/08) is the sole custodian of all the animals at Jukani, and therefore their future is secured. Jukani is funded by means of responsible eco-tourism and strives to achieve an effective balance between conservation and economic reality. Monkeyland is situated about 150km from Mossel Bay and about 50km from Knysna. Our exact location is The Crags, which is 16km east from Plettenberg Bay. Simply take the N2, pass Knysna, pass Plettenberg Bay and continue past Keurboomstrand on to The Crags. You will notice a Monkeyland sign on the N2, near the BP Garage (the Garage is also known as the Garden Route Superrette). Take the turn-off (on the right) at this BP Garage and follow the Monkeyland signs for a further 2km. We are situated 2km off the N2, and our tarred road is well signed. Jukani Wildlife Sanctuary is 3.2km from the centre of Keurboomstrand , the nearest airport 117.1km (George Airport).